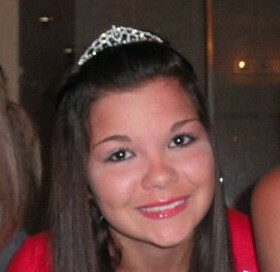 Alexandria Rose Gunnels, 15, of St. Petersburg, passed away August 4, 2011. She went peacefully to be with Jesus while surrounded by her loved ones. Alex fought a courageous battle against brain cancer. She was a caring, compassionate daughter, sister, and friend who always put the needs of others before her own. Alex’s memory will live on as she will forever be in all our hearts. She is survived by her loving parents, Thomas & Erica Gunnels; brother, Thomas Gunnels; grandparents, Chester and Roberta Gunnels and Vasil & Claire Bickey; aunts, Jennifer Bickey and Andrea Plant; uncles, Michael Bickey, Todd Gunnels, and Steve Plant; and cousins Julia Bastow and Lydia Plant. Services will be held Monday, August 8th, 11:00 am at the David C. Gross Funeral Home, 6366 Central Avenue, St. Petersburg, FL 33707. In lieu of flowers, donations may be made to the family in care of the funeral home. Online guestbook at davidcgross.com. Life here to teach others about courage and love apparently. 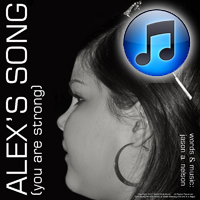 May your family find comfort in knowing Alex had so many supporters in your fight. She was a beautiful child that had to leave you too soon with a soul that was to old for her short life. I am so sorry for your loss. May God take care of your family in your time of need. Alex, bless you for all you did to support others, rest in peace. We are so sorry for the loss of Alex. Her speech at Relay for Life at Shorecrest was an inspiration. She went through a lot at such a young age- may she find peace and comfort. We hope the family knows how much she will be missed. I am truly sorry for you and your familys loss.This a very sad and trying time and I hope all kind find peace and comfort at some point.The loss of a child is the worst feeling and loss ever! Hopefully you can recall all the smiles and lives she gave and touched and thrive with knowing you did your best and she gave her best..Lisa ,Daniel and Quentin.. I am so honored to have been at her service today. It was a beautiful celebration of such a beautiful young lady. May she rest in peace! Much love to all of you! I had the honor & privilege of meeting Alexandria a few months back. She was an extremely courageous & beautiful young lady. My heart and prayers go out to all her friends, family & loved ones during this difficult time. Though you are in a better place, you will surely be missed! Want to help out but don’t know how? Aunt Jen, Alex, Erica, Tom, & Aunt Andrea - We'll try to keep this updated!